Each day it seems we’re learning more about the marvelous miracle that is our intestinal microbiome – the collection of bacteria, yeasts, and viruses that live in our gut and do an enormous amount of work to keep us healthy. Amongst the many accomplishments our microbiome could boast are manufacturing vitamins (they help produce Vitamin D and Vitamin K), detoxifying environmental toxins (they can even break down some heavy metals and help us eliminate excess estrogen), keeping our mind and mood steady, and keeping our weight down and regulating inflammation. We also know that what we put in our bodies, from foods to medications, has an impact on this precious reservoir of organisms. The impact of antibiotics, and particularly the rampant antibiotic overuse that has become so prevalent, on our gut microbiome has become increasingly evident as research continues to emerge on the importance of our microbiome to our health. Disruptions in the microbiome have been associated with diabetes, weight problems, anxiety, depression, autoimmune disease, sugar cravings, fatigue, PCOS, fertility, immune health, adrenal dysregulation, and much more. It makes sense that antibiotics would be harmful to gut bugs – after all, they don’t necessarily discriminate. They take out some of the good guys, along with the bad. But it was surprising to learn that antibiotics aren’t the only drugs that are doing some serious harm to the microbiome. According to new research published in Nature, more than one in four non-antibiotic drugs – including over-the-counter acid-blocking drugs like Prilosec and commonly-prescribed drugs like the diabetes medication metformin, also used to treat PCOS, inhibit the growth of beneficial bacteria in the gut. It makes sense that antibiotics would be harmful to your microbiome, but more than one in four non-antibiotic drugs – including over-the-counter ones – inhibit the growth of beneficial bacteria in the gut. Those weren’t the only drugs to cause gut trouble. Certain antivirals, antipsychotics, and chemotherapy drugs also had “antibiotic-like” side effects in the gut, according to the data. The researchers were surprised by the number of ‘unrelated’ drugs that had a negative effect on the microbiome. The study looked at over 1,200 drugs – 923 of which were non-antibiotics – and their effects on 40 bacterial strains often found in the gut, including 38 strains commonly found in healthy individuals. Over twenty-five percent of the non-antibiotic drugs suppressed the growth of beneficial bacteria. The researchers also found that use of these drugs might promote antibiotic resistance, speculating that the medications cause the number of antibiotic-susceptible bacteria to decline – which makes room for antibiotic-resistant strains to flourish, reports the Center for Infectious Disease Research & Policy (CIDRAP). 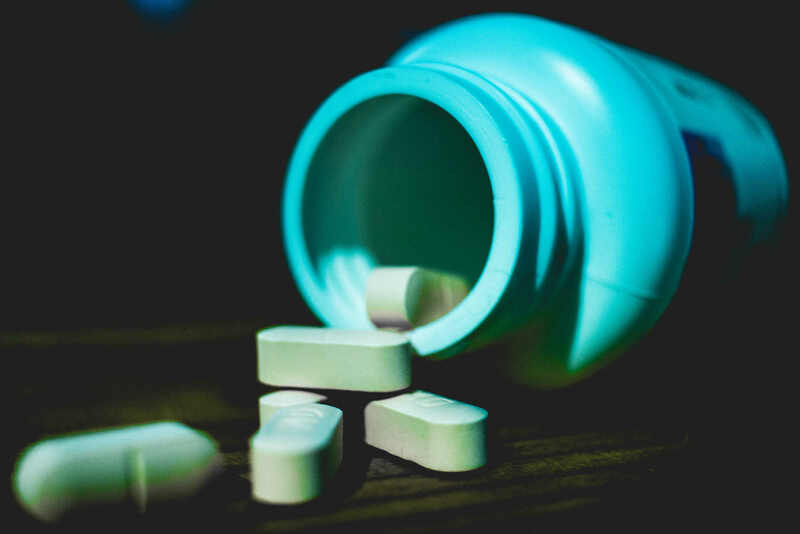 I’ve written before about how taking NSAIDs (like ibuprofen) for as little as five days in a row can lead to gastritis, ulcers, and leaky gut syndrome – and how prescription pain medication can lead to constipation (along with far more serious consequences). Now, as we add to the list of medications that damage the gut (and in so doing lead to a whole cascade of other problems, including thyroid problems), we can see a whole modern-day system at work against our beleaguered intestines. This news is particularly important in light of the fact that women are disproportionately overmedicated, to the tune of 50% of women over 50 being on at least two daily pharmaceuticals, and that most medications have not been studied in women for safety and appropriate dosing. It gives us even more reason to restock our medicine cabinets with natural remedies, to use pharmaceuticals sparingly and only when necessary, and double down on our use of integrative and alternative therapies for preventing disease, and for treating our symptoms and medical conditions whenever possible. Maier, L. “Extensive Impact of Non-Antibiotic Drugs on Human Gut Bacteria.” Nature, 19 Mar. 2018.